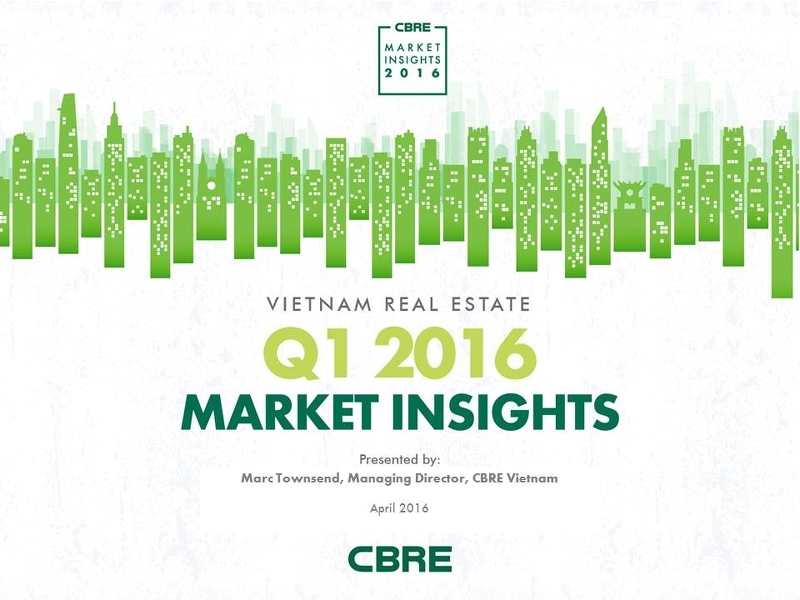 CBRE notices dynamic activities across most sectors in the Vietnam real estate market. FDI into Vietnam reached more than USD4 billion, of which 6% went into real estate, equivalent to 11 newly licensed real projects with USD239.8 million. The condominium market started 2016 with a strong increase in new supply, totaling 7,708 units, mostly from the affordable and mid-end projects. Developers were confident to push prices up to US$2,029 psm and yet, sales momentum remained bullish. Q1 reported an estimated 9,090 sold units, up by 27%. High-end segment witnessed the largest sales volume (41%), followed closely by mid-end (39%). On the other hand, the second home market continued to grow in coastal cities, especially Nha Trang and Phu Quoc.